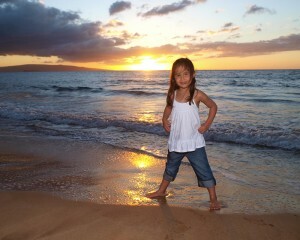 Rates at Maui Island Portraits range from $400 to $800, or more, depending on the number of people, time involved, location and/or special considerations. The drop down menu below presents the fees for basic natural setting, environmental portrait photography for individuals, couples and families. 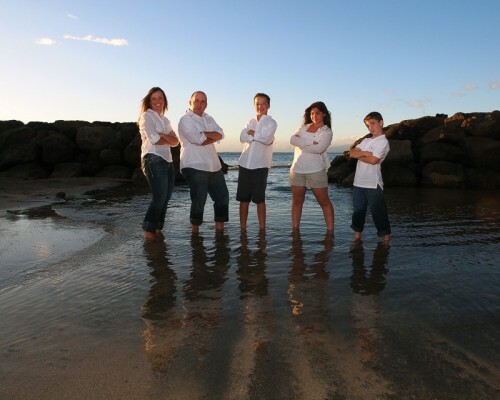 For families larger than 10 people, multiple families, large groups or weddings, contact Maui Island Portraits for a quote. The ‘additional fees’ drop down menu options is to cover additional expenses which may be incurred in large groups, big weddings, extended travel time or special events with unique requirements. The one-time all-inclusive fee covers everything from professional photography and editing to mailing a CD of high resolution images to your home and a private, password protected online gallery. To view a comprehensive list of services received, visit our Services Page.